What we offer is a totally unique, luxury wedding venue in Wales serving Wales, Shropshire and Cheshire, with couples coming from all over the country for their perfect country wedding. You have the whole hall exclusively for your celebrations as we do not operate like a wedding factory. With only one wedding a weekend you are able to relax and enjoy your time, knowing that neither you nor your guests have to adhere to an early checkout time. We want to make your vision a reality. In fact, we want to go beyond that and inspire you with ideas that you had never even imagined or thought possible! With no set suppliers, the options are practically endless. You can have the wedding YOU want, not what we dictate. One of the absolute highlights for us is seeing how every wedding we have at Garthmyl Hall is completely different to the last. Here you can see some of the completely unique and wonderful ideas and little touches our couples have had on their big day. We got married in July 2017 and could not have been served better. All of the staff were attentive and did everything they could to help us. Julia assisted us in the arrangements and provided lots of advice. She did a great job on the day and stepped in to help with our cake crisis and went the extra mile to put up balloons etc. We loved that when we booked Garthmyl Hall we would have it to ourselves for the whole weekend. We wanted a place we could all meet not only on the wedding day. All I can say is the rooms are simply spectacular, decorated with style and elegance...with added little touches. We loved that we could have our own caterers, supply our own wine, choose the band etc. It truly felt like we were having our wedding at home. We wanted to say a massive thank you to you and everyone at Garthmyl Hall who was part of our Big Day! We knew as soon as we saw it that Garthmyl Hall was where we wanted to host our wedding. We loved the idea of a weekend wedding and everything that it would offer us and we couldn’t imagine a more beautiful setting. 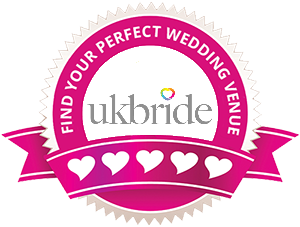 Start planning your perfect Wedding in Wales / Shropshire. From the early planning stages, right through to the big day, we are on hand to ensure every eventuality is catered for. Whether you are at the beginning of your planning journey, or whether you have your perfect day thought out from start until finish, we would love to have a chat with you about how we can help! Remember, you have total flexibility! You are not restricted by set suppliers or early check out times, meaning that whatever your vision, we will be able to help make it a reality! See what is included in your stay with us and be inspired by all the ways you can make your wedding 100% unique! We would love to talk to you more about your vision for the big day and how we can be a part of it.